Ahhh.... I'm so awake! I went to bed at 7:00 pm last night. I was just down right pooped and here I am... awake at 1:30 am... so I just decided to get up... have a nice cup of coffee and do my blog. I know... I know... call me crazy! I'm sure as soon as I'm done staring at this screen for some time, I'll be sleepy again. It's kind of like drinking warm milk and rocking in a rocking chair! Zonk! I'm instantly sleepy! The scariest part about this picture.... 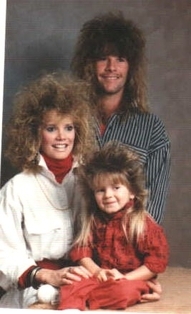 I remember these hairstyles!!! It was just like yesterday!! Have you sit down and looked back through your yearbooks? Oh my! It's such a strange trip to see what everyone looked like back then... hairstyles, facial hair, eye glasses... it's actually down right scary!! Here's another one of those pictures... "just because you can...doesn't mean you should"! NOOOOOOOOOOOOOO......... do NOT wear skin colored tights!!! It's just nasty!! 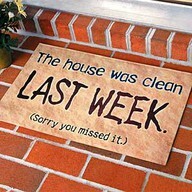 I've decided we all need one of these door mats! I'm getting me one... that way if your house is not as clean as you would like it to be when company arrives unannounced... they will know exactly why your house looks like a bomb went off in it!! I would love to know who thought of this idea? It had to be a boy... don't you think? Too funny!! This is hysterical... no name... just this on the marker! I think it pretty well describes it all!! 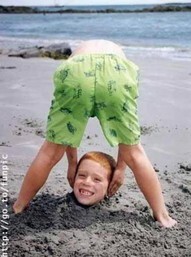 Now this... is just pretty darn creepy! 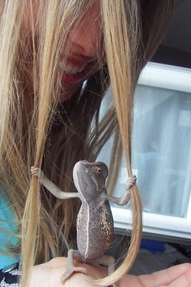 The lizard himself is pretty scary (he gives me the willies just to look at him.... (((shaking))) but to have him sit on my hand and hang on to my hair... JUST SAY NO!!!! Can you imagine being the passenger in the front seat.... taking a quick little nap... waking up and seeing yourself going into the mouth of this chick? WOW.. that would scare the crap out of me!! 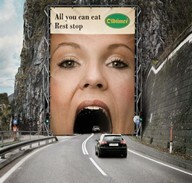 Now... this is a great advertisement for a snack - rest center. 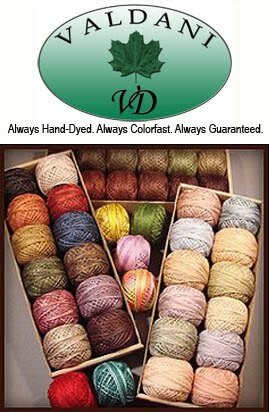 It certainly gets your attention! 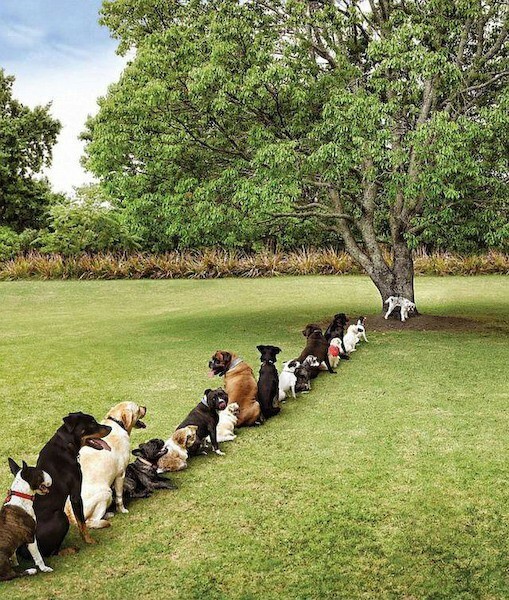 It's only fair.. all of us female human beings have to wait in line for the ladies room... it's now time for the boy doggies to have the same issue!!! LOVE THIS!! I would say someone didn't have their flight instruments working correctly...wouldn't you? 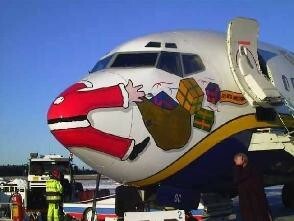 Poor Santa... no packages this year folks... sorry!!! Ok... that's my humor for the day... just as I suspected...after looking at the computer screen for about 30 minutes... I'm ready to crawl back under the covers for a little doze!! See you tomorrow... have a great Monday!